July 2017: Softbank invests $200 million in Plenty. December 2018: GV (Google Ventures) invests $90 million in Bowery Farming. As someone focused on climate change investing, it’s hard not to take note of the scale of capital flows into private vertical farming companies. As I mentioned in Agriculture is Broken; AgTech Can Fix It, there is a lot to like about the idea of applying modern technological solutions to the problem of food production. The global population is expanding while the earth is heating up. Something must be done to keep us out of the dismal realm of Malthus. However, I am enough of a contrarian to become circumspect when I see massive cash flowing into a trendy investment area. Getting good information is particularly hard during boom times, because everyone, it seems, is working some angle. In my quest to find some good, unbiased information about the industry, I struck up a friendship with Dr. Paul Gauthier, a plant physiologist specializing in vertical farming research. Dr. Gauthier runs the Princeton Vertical Farming Project and will soon transfer his lab and research from Princeton University to Delaware Valley University where he has been selected for the K.H. Littlefield Endowed Professorship of Plant Science. I spent a day with Paul in Princeton and came away with five important take-aways about vertical farming. Lettuce, herbs, and microgreens are easy crops to grow indoors, so a lot of indoor farms are focused solely on producing them. Farmers, though, cannot escape two economic facts: 1) markets conform to the dynamics of supply and demand and 2) farm inventories are perishable. If your vertical farm and three competitors each have enormous warehouses stuffed full of lettuce growing under LEDs and destined for the same metropolitan area, the price of lettuce in that area is likely to fall and / or someone will be trashing a lot of wilting greens. 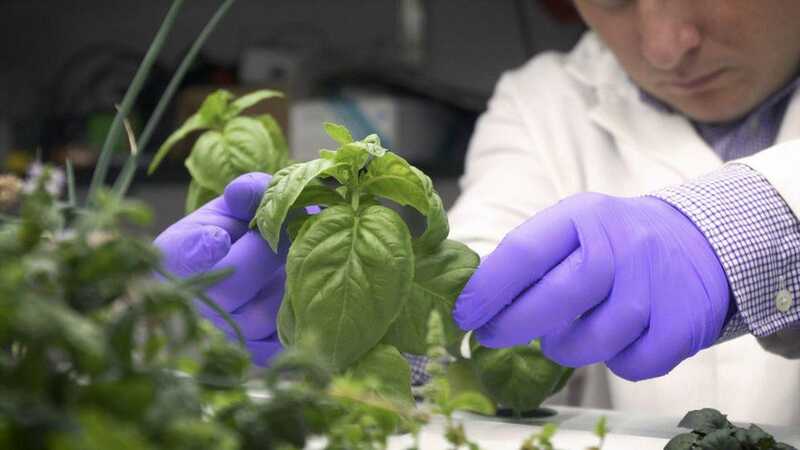 Other crops can be grown indoors too – Gauthier has grown berries, eggplants, peppers, and even grain in his lab – but it takes an expert understanding of what plants need to grow and thrive and many cycles of trial and error. Humans have 12,000 years of experience growing food, but only a generation or so worth of experience growing crops indoors. We are still progressing up the technology learning curve, to the extent that there is a lack of good data about basic questions — comparing crop yields for plants grown outdoors in soil, inside a greenhouse, and indoors using hydroponics, for instance. What’s more, traditional farming techniques are based on conditions that are not applicable to vertical farming. Outdoors, food crops are exposed to variations in rainfall, light and wind, and must compete with other plants to scavenge for nutrients in variable-quality soil while exposed to the threat of animal or insect predation. The fact that vertical farming removes the uncertainties inherent in nature is a positive, but by taking plants from their natural habitats, we are implicitly saying that we understand everything about what a plant needs to thrive. We don’t. Without that understanding, we are left with overproducing crops that are easy to grow indoors: lettuce, herbs, and leafy greens. The recently passed Farm Bill provides support for research and investment into vertical farms and that’s a big positive for the industry, but we still have further to go. Without taking time to understand the science, though, vertical farming is not likely to be able to live up to its lofty implied promises (or investment valuations). Vertical Farming is not a pie-in-the-sky, but it’s not a lay-up either. The cost of powering LED grow lights is one of the biggest hurdles a vertical farm must overcome for its produce to be competitive with fruits and vegetables from a traditional farm. Costs are so high, in fact, that professor emeritus at Cornell, Dr. Louis Albright, has characterized vertical farms as “pie-in-the-sky” ventures. Albright famously calculates, for instance, that the cost of a loaf of bread would be $24 if farmed indoors – price prohibitive to anyone but Ricky Gervais. Gauthier acknowledges that energy prices are high but points out that that many are experimenting with using less light to grow crops. Scientific work has shown that only about 6% of available sunlight is used in crop photosynthesis, so there may be ways of growing the same plants with less light. LED technology is continually improving and at some point, governments around the world will decide to stop externalizing the cost of emitting greenhouse gases. Until that time, however, large scale vertical farm profitability is likely to remain low. While energy costs are not a lay-up, vertical farming does create enormous efficiencies in other areas. Water usage may be drastically reduced because the same water can be recycled time and again through the same hydroponic system. Fertilizer use can be greatly reduced and herbicides and pesticides for weed and pest control are unnecessary. These agricultural chemicals – which are habitually over-applied, only to run off into rivers and lakes – are likely responsible for everything from ocean dead zones to algal blooms to die-offs among pollinating insect. Factoring in the economic benefits we enjoy as a result of clean oceans and thriving pollinators, it’s clear that vertical farming offers real value to society. As long as the price of carbon emissions and environmental pollution is not priced explicitly, though, it will be difficult for many people to accurately perceive the benefits. In some environments – the Middle East, for instance – a move to vertical farming is a no-brainer. An indoor farm in Saudi Arabia, for instance, can use solar energy to power LEDs at low cost without shading out other farmland. At present, virtually all vegetables must be imported into the country, so having locally-grown crops there would be a big win. In other geographies, though, the expense of establishing a facility places a high bar on growth and profitability that vertical farms have had trouble clearing. For instance, AeroFarms, a large vertical farming and equipment operation mentioned in the introduction, only started generating a (small) profit eight years into its nine-year life. Facing high capital and operating expenses, I doubt if large, industrial vertical farms can profitably become the primary source of most US consumers’ fruits and vegetables anytime soon. However, smaller, tuck-in vertical farming installations on presently operating farms could produce countercyclical crops and supply a local alternative to food that is normally imported. For instance, a farmer in the upper Midwest could build out hydroponics facilities in an old barn or an unused blot of land that would be used to grow strawberries for sale in Chicago and Minneapolis supermarkets in January. Berries fetch a high price mid-winter in this part of the country, and selling fresh local produce into this market could add a nice, countercyclical income stream to the farmer. Gauthier’s vision is even more local. He adapts Bill Gates’s 1980 vision of a personal computer in every home and predicts that in the future, every home will have its own hydroponic vegetable plot.